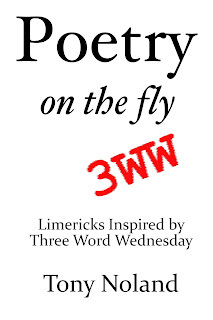 Today's limerick is prompted, as always, by the Three Word Wednesday prompt. This week: belief, festive, rumple. Cause gigantic linemen to crumple. Makes concussion more than a rumple. 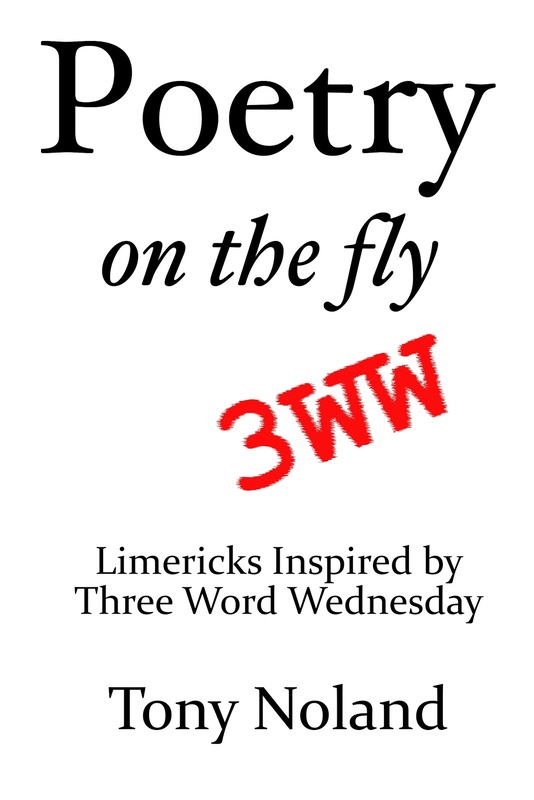 "Poetry on the fly: Limericks inspired by Three Word Wednesday" has a foreword by Thom Gabrukiewicz, the curator and guiding light behind 3WW. This canonical slim volume of poetry can be yours for less than a buck with the click of a mouse - makes a great stocking stuffer! (1) Whether you like your limericks funny, interesting or thoughtful, this collection is for you! (1) Assuming you have a Kindle or Kindle app in your stocking. Congratulations on your publication, Tony! Loving this limerick. I had to hunt for the prompt words - did not appear remotely forced! Is that a limerick about an offsides penalty and resulting injury? Because if so, bravo. Thanks for the great comments, everyone! Yes, John, this is about NFL injuries. if so, bravo Thanks!